Introducing the first episode of Against Type. Our first guest is Robyn Paris, better known as Michelle of The Room. If you haven't seen it, The Room is a nindepenently shot feature that was designed to be writer-director-actor Tommy Wiseau's magnum opus. Instead of becoming the second coming of Steven Soderbergh, Wiseau's project became the new Rocky Horror Picture Show. Twelve years, thousands of midnight screenings, millions of spoons, and one random encounter with Michael Cera later, The Room's Robyn Paris is writing, producing and directing the mockumentary The Room Actors: Where Are They Now?, a love letter to The Room's legion of fans around the world. On this inaugural episode of Against Type, Robyn talks transitioning to screenwriting, The Room, her mockumentary, and the mystery that is Tommy Wiseau. 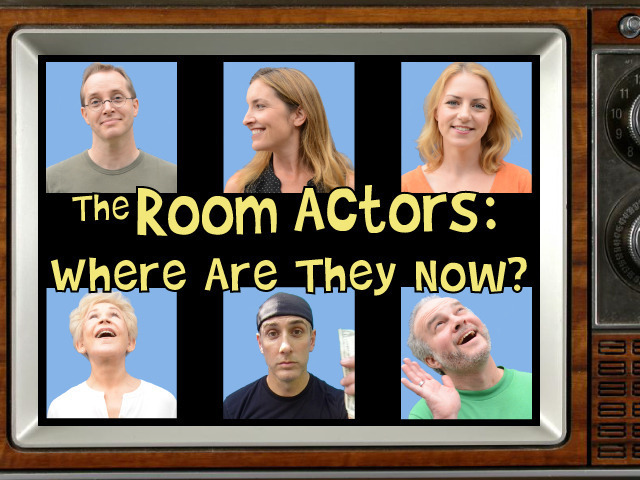 If after listening you feel compelled to donate to Robyn's Kickstarter Campaign, visit The Room Actors: Where Are They Now? campaign page to drop a few few duckets in the virtual bucket. Campaign ends November 20th so don't hesitate. What happens when The Room meets Full House? You've got the feel good sitcom of the year with the passion of Tennessee Williams. You've got Uncle Jesse, Johnny, Mark, Danny, Denny and the rest of the family mixing it up on the streets of San Francisco.